St. Gerard Majella, Triduum – begins in Esker tomorrow, Oct. 8th to Wed.10th. The annual Triduum or Three days festival of faith, in honour of St. Gerard Majella, takes place in the Redemptorist Church in Esker this Monday Oct. 8th to Wednesday Oct. 10th, 2018. Two session each day, 10am and 8pm. Blessing with First Class Relic at each session. 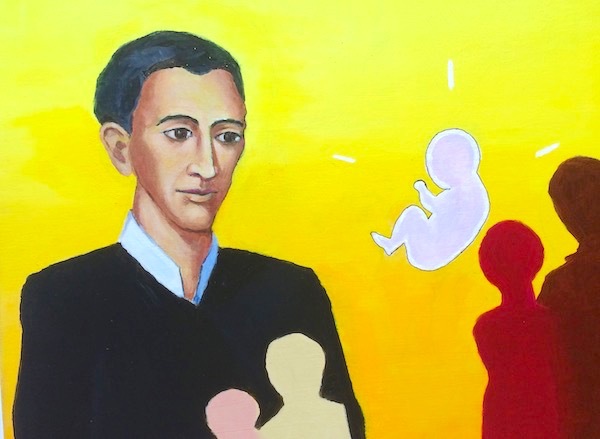 St. Gerard Majella is Patron of Mothers and Expectant Mothers, and of families. May his prayers accompany us all through these days, as we look forward to his feast day on Monday October 16th. Almighty and Eternal God, we thank you for the gift of St. Gerard Majella and the example of his life. Because St. Gerard Majella always had complete faith and trust in you, you blessed him with great powers of help and healing. Through him, you showed your loving concern for all those who suffered or were in need. You never failed to hear his prayer on their behalf. Today, through St. Gerard Majella’s powerful intercession, you continue to show your love for all those who place their trust in you. And so, Father, full of faith and confidence, and in thanksgiving for all the wonderful things you have done for us, we place ourselves before you today. Through the intercession of St. Gerard Majella, hear our prayers and petitions and if it is your holy will, grant them. Amen. You may send in your own petition by going to ‘Contact us’ on Home page. Your prayers will be carried during the three days (‘triduum’) of prayer from Oct. 8th to 1oth. ← ‘We fly to thy patronage, O Holy Mother of God’ – origin of this prayer.